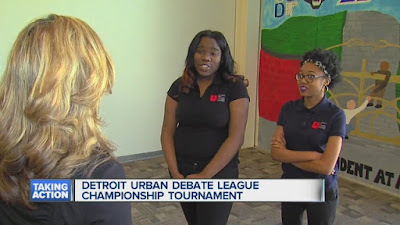 Tamara Morrison and Tiera Colvin are members of the debate team at University Preparatory Academy in Detroit. They are the first team of women from Detroit to receive a bid to the Tournament of Champions. It's basically the Super Bowl of the high school debate world. Watch their inspiring story below.